Jane Eyre, published in 1847, is one of the most memorable works of English literature, not the least of which is because of Brontë’s sensitivity and courageous realism. 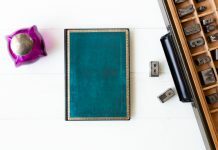 So we wanted to take this opportunity to highlight our own Jane Eyre book — a blank writing journal we’ve designed to inspire writers, Brontë aficionados and just plain art lovers of all stripes. 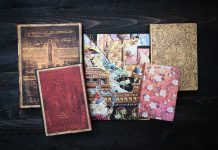 Part of our Embellished Manuscripts Collection, our Brontë, Jane Eyre writing journals have covers that reproduce Brontë’s original Jane Eyre manuscript. What the delicate handwriting on the cover speaks of is the complexity of Brontë’s character; a highly creative mind imbued with a passionate enthusiasm. Interesting bit of trivia: Despite her first publication selling only two copies (a volume of poems co-written by her sisters), her manuscript for Jane Eyre was accepted almost immediately by the publisher upon submission. The novel was published only two months after Brontë submitted the final manuscript in August 1847 and was greeted by critics with almost instant acclaim. The movie opened in limited release on March 11th and will screen in the UK starting next September. 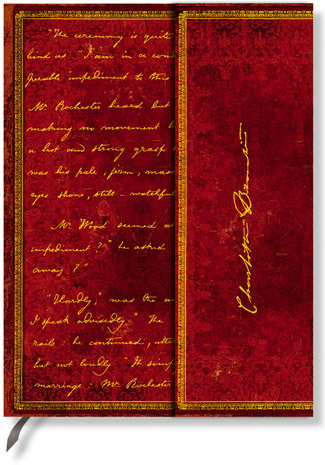 The Brontë, Jane Eyre journals are available in both Ultra and Mini formats. 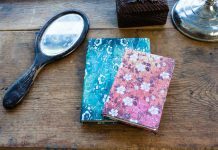 Looking for Paperblanks in your area? Our Find a Store Near You feature allows you to find the retailers who carry our writing journals. Just enter your postal or zip code to get a listing of Paperblanks® retailers in your area. 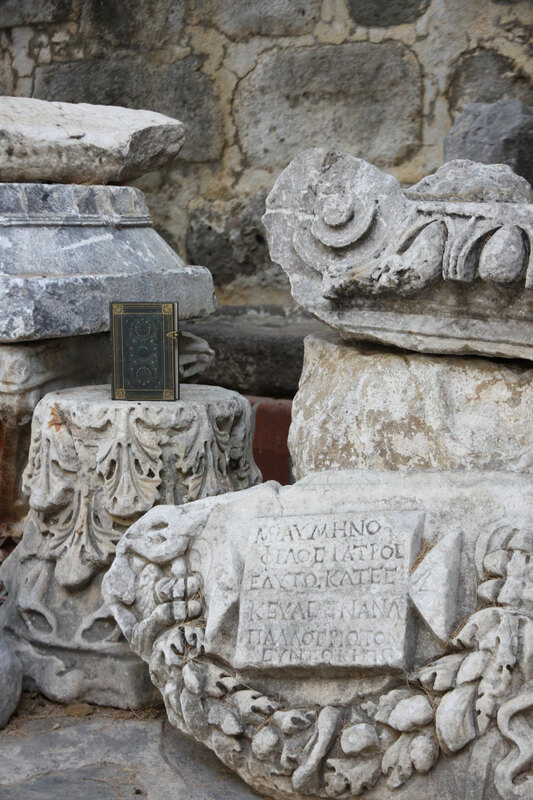 Previous articleMarginalia: A Dying Art In An Increasingly Digital Age?